McDonaldâ€™s UK has got some naughty action going on down at its Twitter that might leave family-friendly â€˜Ronald McDonaldâ€™ less than thrilled. This cheeky arm of the fast food chain got playful in a recent saucy GIF ad that came with the caption, â€œHow does this make you feel?â€� It shows the hand of a customer consecutively dipping one â€˜McNuggetâ€™ into three different types of its dipping sauces. 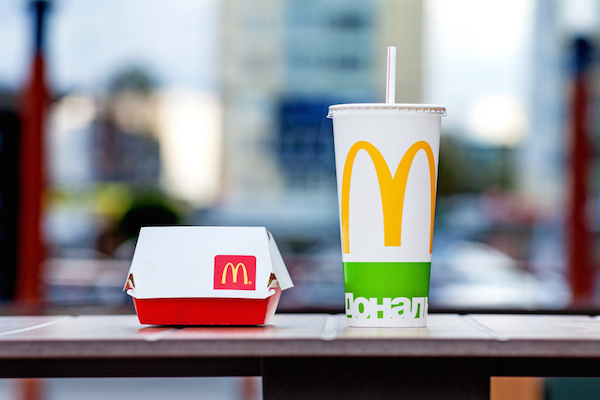 Even Jordan Parkerâ€™s tweet, â€œThatâ€™s a very sexual statement McDs,â€� didnâ€™t faze the brand. â€œDonâ€™t try and make this even saucier, Jordan,â€� it responded. Donâ€™t try and make this even saucier, Jordan.